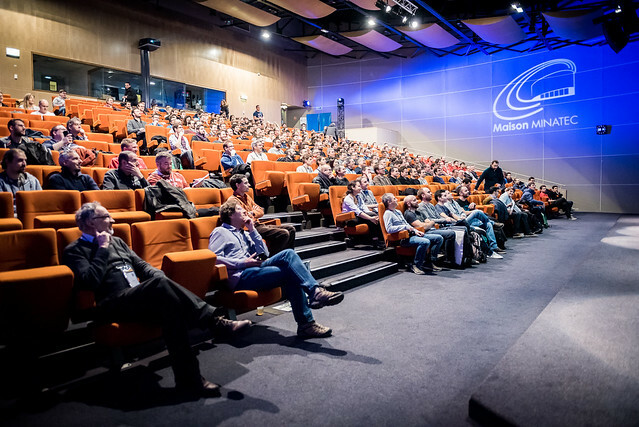 I’m one of the organisers of a developers’ conference here in Grenoble, France, the SnowCamp. The 3rd edition took place last week at Minatec. During 3 days, we hosted 10 University workshops, 40 presentations, 3 keynotes, and welcomed 375 attendees. And on the Saturday, we ran a smaller unconference with some of the speakers on the snowy slopes of Chamrousse, the closest ski resort to Grenoble. It has been 4 very intense days, but I’m really happy with how smooth the event went, and I’m excited to help organising it again next year (no spoiler, but it should take place end of January 2019). My photos of the event are on my Flickr account, but they are also aggregated with other photographers’ shots on the SnowCamp Flickr Album.